Hi girls! It's quite a while since with the last time I did beauty skin care product review on this blog. I'm pretty pre-occupied with the travel itineraries I had these months, but I'm happy, totally happy for everything I discovered during I travel. One of my discovery is this natural Swiss Beauty skin care from Mila D'Opiz which come to my knowledge that it has existed since 1938! It was all started with a woman called Emilie Opitz-Altherr who was known as Mila. She found that many women in this world were caught in skin problem and at that time, not so many references she could rely on. 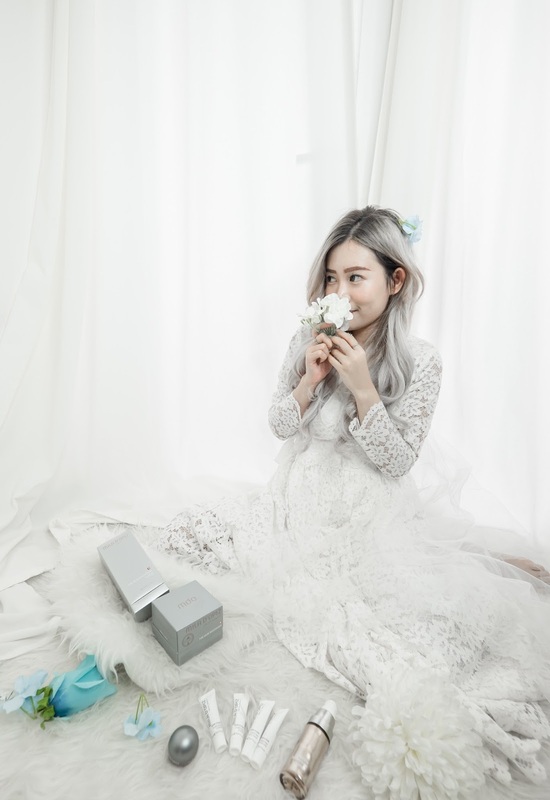 So, she decided to collaborate with skin specialist doctor to create an innovative mix of skincare and natural ingredients. 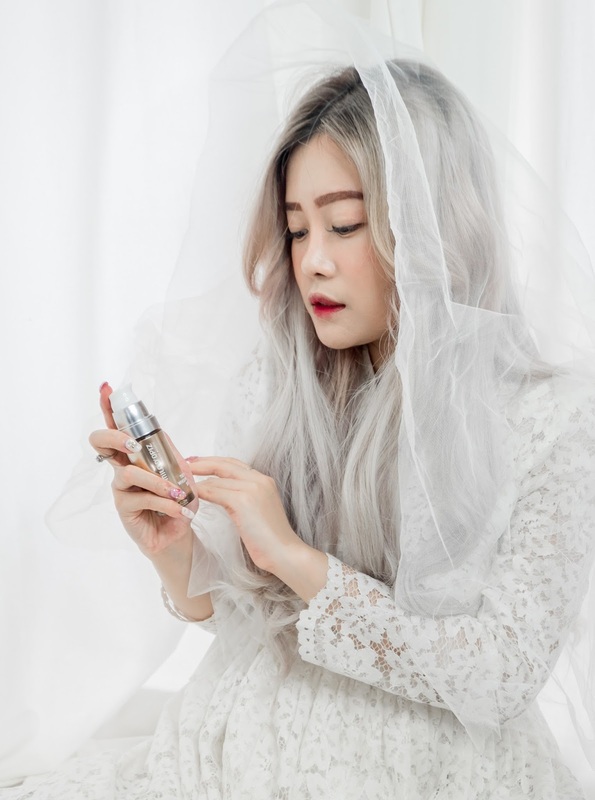 At that time, her product was well received by the cosmetic industry, even got a slogan "The Golden of Beauty" and won several recognitions from Beauty Oscar in 2014 and European Spa & Health Award. Ever since, Mila D'Opiz has been exported to 48 countries in 5 continents, including Indonesia. I am delighted to be given an opportunity to try the skin care line of product from Mila D'Opiz. I tried their best selling and award-winning skin care products, The Skin Whisperer Cream and The Skin Whisperer Serum. I also brought their Skin Clear travel set during my trip last month which consists of Purifying Serum, Purifying Cream, Purifying Amber Peeling and Purifying Yeast Mask. Before I review the skincare products I used, I will briefly share about Mila D'Opiz line of products. 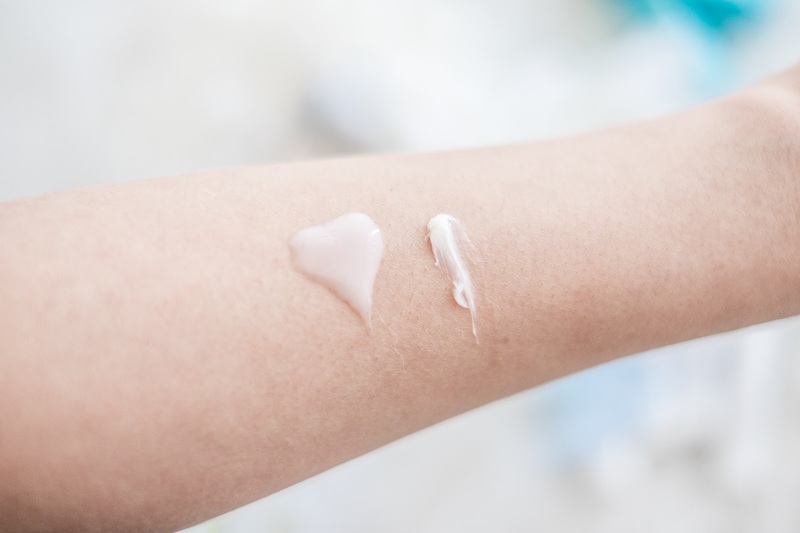 You might have seen that Mila D'Opiz has variable products in the market and you probably get confused on which product to use. I am confused as well at the beginning, so I want to share with you how to differentiate their products and function. 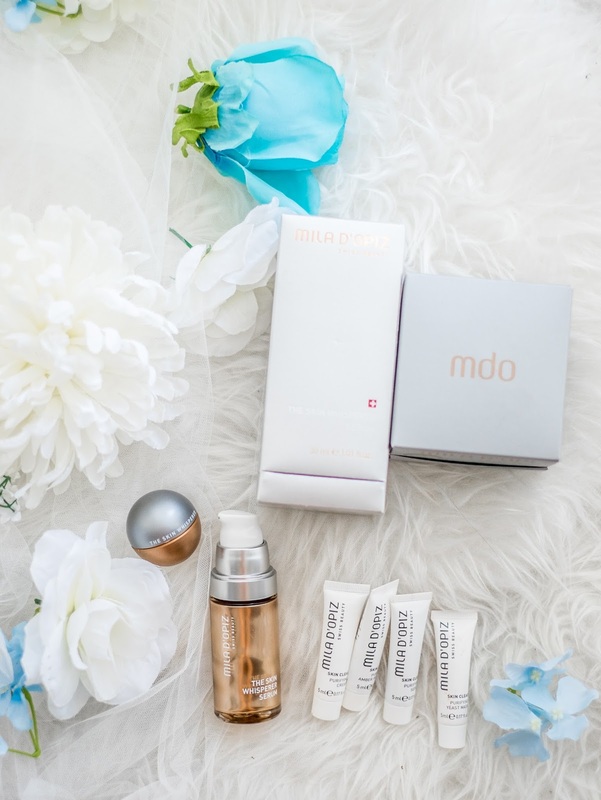 First of all, Mila D'Opiz has 5 specialties in its products: Anti Aging, Hydrating, Anti Pores, Sensitive Care, and Whitening. - Anti Aging: To prevent the sign of aging, Mila D'Opiz has 3 great products which are Skin Refine, Phyto Deluxe, and Skin Whisperer. These 3 are very well recognized in Swiss especially the Skin Whisperer Series, I'll tell you why. The Skin Whisperer series has stemcell actives which can maximize the skin regeneration process. Due to its stem cell magic, this product was awarded Beauty Oscar Winner 2014 as the Most Innovative Cosmetic End Product. - Hydrating: The Hydro-Boost series is perfect for dry skin because it can rejuvenate and protect the skin moisture. - Anti Pores: The Skin Clear series is specially formulated to shrink, tighten and cleanse the pores. In addition, this series can also cure acne and combat its scars. - Sensitive Care: The Mila Sensitive series is recommended for all skin types, especially the sensitive ones. It is great to moist and refreshes the skin. - Whitening: The White Shade series is focussed in enlighten and moisturizing the dull skin, providing a crystal glowing skin. You can choose the ones that perfectly suit your skin condition. 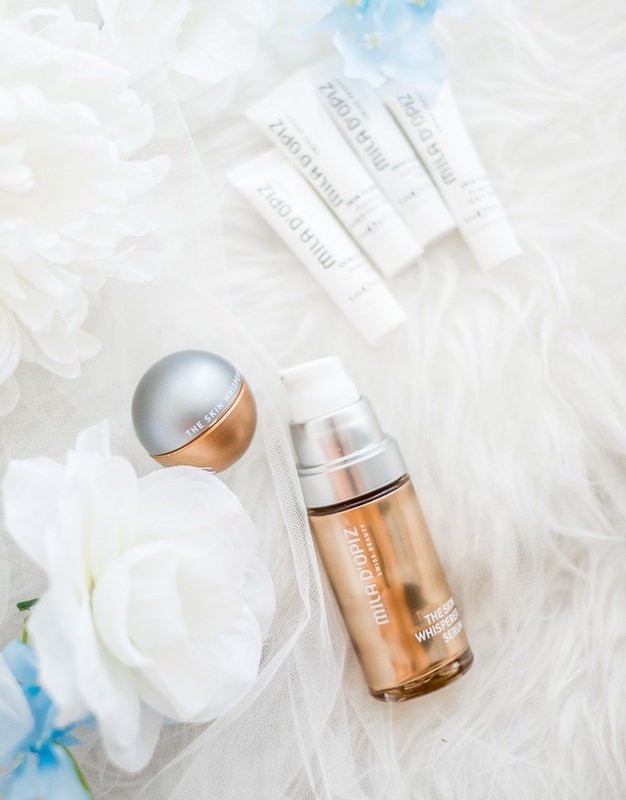 As for my skin needs, I choose the Skin Whisperer Series to boost skin regeneration process and the Skin Clear series to reduce the pores size in my skin. 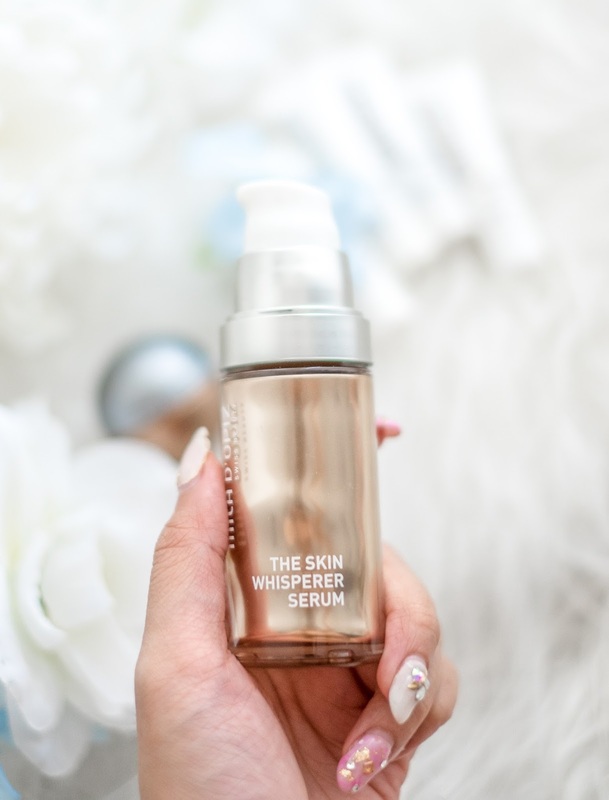 The ultimate benefits of the serum are to fasten the regeneration process of the skin cell and overcome the damaged skin due to UV exposure and the unbalanced skin texture. While most skin serum only consists of 1 stem cell, the Skin Whisperer Serum over-ranked them all by having 5 plant stem cells in one bottle! The first time I used this serum, I noticed the yogurt-like aroma and it indeed very nice when applied to skin because the texture is unbelievably very smooth and milky. It is not sticky at all and eventually seeps directly into the skin. As for the Skin Whisperer Cream, this product is available in 2 sizes, 50 ml and 10ml for travel size. It is to be used twice a day as well, every morning and night. It is able to regenerate, nourishes and tightens skin and prevents aging. The Skin Whisperer Cream consists of 4 plants stem cells which effective to overcome the deep wrinkles, uneven texture, and sagging skin. It is giving you 24 hours moisturizing effect and also can be treated as sleeping mask due to its thick consistencies compare to the serum. I applied both every morning and night and I would recommend these two products for its perfect moisturizing effect. 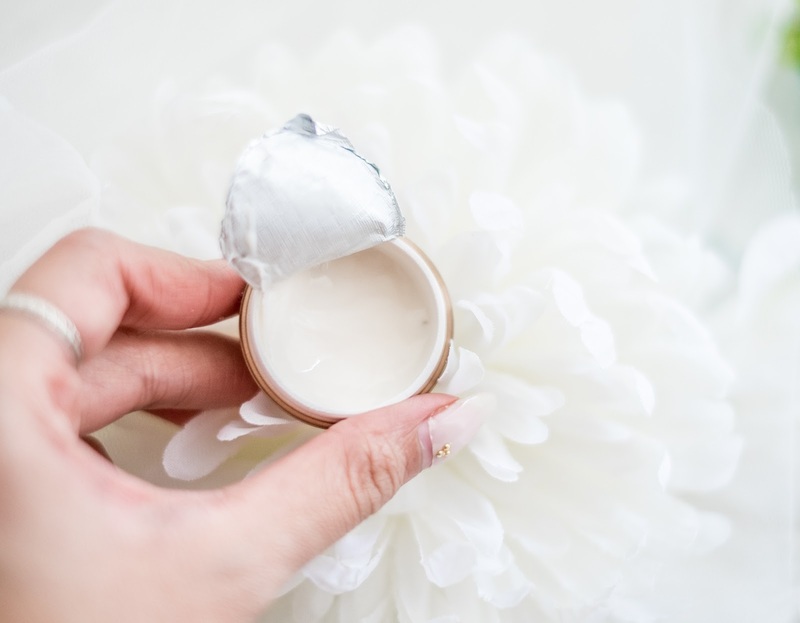 My skin feels very hydrated all day long and it looks dewy, glowy and bouncy. No more worries of UV damage or dry skin while working with AC all day long, my skin can breathe perfectly thanks to Mila D'Opiz Skin Whisperer Serum and Cream! Remember I said the I carried the Skin Clear Purifying series for traveling? Now let me share you my experience in using this travel kit version of Skin Clear Purifying series. I really hate the experience when there are climate and temperature change between my origin country and the destination country, my face usually gives a sign of shock by showing some little annoying acne. I notice this usually happen when my skin is not well hydrated, it tends to have big pores and eventually led to bacteria spreading and then it comes to acne. So, I try this kit and see if it works well for me. 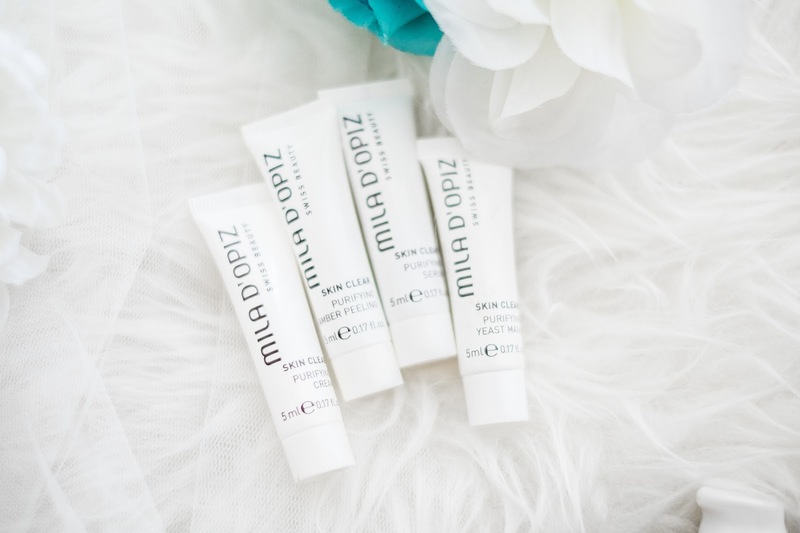 A little brief of Mila D'Opiz Skin Clear Purifying series, this series is powerful to shrink, tighten and cleanse the pores and also powerful to treat acne and prevent acne from growing and spreading. There are 4 products in this series, there are Serum, Cream, Amber Peeling and Yeast Mask. - Skin Clear Purifying Serum: Serum with micro silver actives that can absorb the dirt in the skin and control the oil production in our skin. The main function of this serum is to cut off comedo, controlling oil and reduce the pores. Available in full-size 30ml. - Skin Clear Purifying Cream: The Cream can refresh and nourish the skin all day long by reducing the skin irritation, giving a protection layer to the skin, moisturizing without leading acne to grow, heal the existing acne and reduce comedo. Available in full-size 50ml. - Skin Clear Purifying Amber Peeling: The Peeling Scrub with Botanical Fossil Resin which effectively scrapes the skin dead cell, lifting the dirt clogs and eventually smoothen the skin texture. Available in 2 sizes, 50ml and 240ml. - Skin Clear Purifying Yeast Mask: Clay mask in gel texture with Bitter Orange Oil anti bacteria actives that can purify the skin and balance the PH. After trying the Purifying Series, I find my skin is very smooth, hydrated and not exposed to little annoying pimples anymore! Personally, I love the Skin Clear Amber Peeling scrub that unexpectedly very smooth and creamy. The scrub is very easy to blend and exfoliate well. It gives an instant smoothening effect to my skin. While for the mask, I thought the travel size won't be enough for me, but it gives me another surprise. A little drop of the mask is enough for the whole face! It gives tightening effect to my skin but not drying it, no stinky aroma as well, I like it! In addition, the serum and cream are very light, matte and not oily. In my daily travel experience, I encounter the purified skin that is smooth, dewy but not prone to acnes. Totally recommended! I'm pretty sure I want to try their other remarkable products and repurchase the full size of the Skin Clear Purifying series. I would recommend you to visit their website or IG @miladopizjakarta or @miladopizhouse for the official distributor of Mila D'Opiz in Indonesia. It can be found in Tokopedia and Shopee as well by looking at this ID: miladopizhouse and miladopizjakarta. lucu banget packlagingan yang skin whisperer cream nya, kaya telur ka..